he SW Motech Evo Footrest is a great idea. Simple, but great. It’s a bigger, better footpeg than the stock unit on your bike, with a removable rubber insert. It’s also full customisable to be height and angle adjustable. That’s all it does. They’ve got fitment for a huge range of bikes and the adjustment range is huge. The Evo Footrest has the ability to drop from the standard height down to 15mm lower for the tall people out there. In that range of motion you’ll find ten different positions, although how that is possible we’re not quite sure. That’s 1.5mm of movement… You can also rotate the footpeg angle by a 18 degrees in either direction, to make sure your pegs are always flat. We think it’s great idea that on paper looks very well executed. Getting a bike well setup and adjusted to fit you is very important and most adventure and touring bikes run on the cramped side for tall people. On top of that, improving the base platform for any dirt riding makes a huge difference. 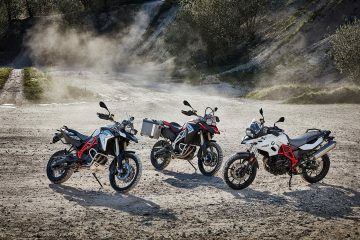 Bikes like the V-Strom range, the standard R 1200 GS or a KLR 650 all have crappy dirt riding pegs and another, highly adjustable option in that market is a good thing. For more info and fitment option on the SW Motech Evo Footrests click here. We love the range of adjustment. Multi-position adjustable and with a large, removable rubber contact pad for added grip and comfort, SW Motech Evo Footrests offer extra comfort for long rides, both on and off the road. 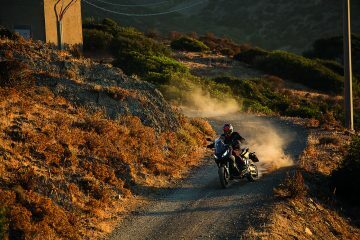 A tailored riding position can make all the difference on long journeys – even the smallest amount of adjustment provides much needed relief to cramped limbs – yet only a handful of motorcycles offer any adjustability, and most of those only have movement in the seat and bars. Available for a broad range of dual sport and touring bikes, the Evo Footrest Kits allow riders to increase legroom, by lowering the height and adjusting the angle of the foot. Height can be adjusted from standard to 15mm lower, with 10 positions in between, and the foot angle can be rotated backwards or forwards by 18 degrees. 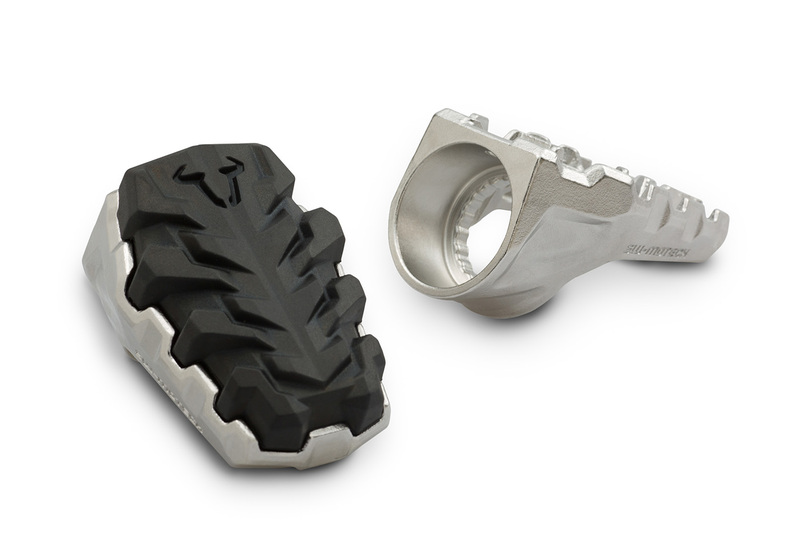 A large dimension contact area with a profiled rubber insert helps absorb vibration and road shocks, and is profiled to ensure a firm grip – especially reassuring on dirt roads and trails, when standing on the pegs is required. The rubber insert is removable, should the rider prefer. 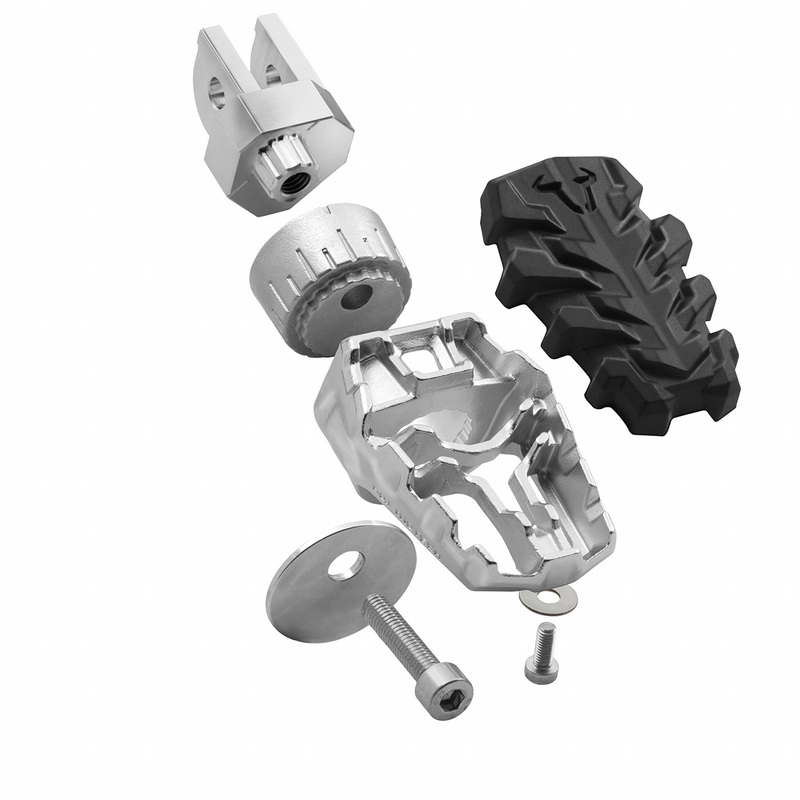 Each kit is manufactured from corrosion-resistant stainless steel for durability and strength, and features lightweight, but tough aluminium alloy footrest links, which are CNC-milled for accurate fit and operation. The kits are tailor made to fit the original footpeg mounts, and come with all required fixings and full instructions. To view the complete range of SW Motech accessories, contact their exclusive UK distributors Motohaus Powersports on 01256 704909 or visit www.motohaus.com for details.